Safe, responsible, and enjoyable sporting begins with comprehensive training and continued education. Whether you are a beginner or an old pro, education and knowledge is the key to safety on the range or in the field. Because there is no such thing as an accident when it comes to firearms handling, Ipswich Fish and Game is proud to offer continuing education for our members and the public. This class is ideal for any person that wants to apply for a Massachusetts LTC (Formerly known as Class-A Concealed Carry) or an FID permit. It is registered with the Massachusetts State Police as “LTC-007”. This class is recognized by all Massachusetts police chiefs as meeting the legal requirements in order to apply for your permit. 5 1/2 hours long. Weekday evenings starting at 6:00 p.m. or weekends starting at 9:00 a.m..
Classroom only; no live fire sessions. Course designed for all levels of firearms experience. This course exceeds the legal requirements for an LTC in Massachusetts and is classified as MA LTC-007. Private group and one-on-one training is available. Home Firearm Safety for groups of 6 or more. 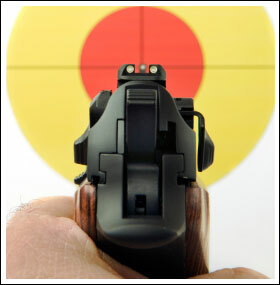 Small groups or one-on-one live fire training and shooting proficiency. Contact J. Eric Josephson, the club Training Director for more information. Hunter Safety is taught by volunteers from the MassWildlife team. The IFGA lets them use the facilities to deliver the class. This class is required to get a hunting license, but typically is not suitable for any pistol permits. Follow the MassWildlife link for times and locations.